It was very good to have Bishop Nick Baines with us on the 6th December, here is Bishop Nick Baines’ sermon from 6th December 2015. It was very good to have Ian Parkinson come to speak to us last Sunday at the Central Gathering. Ian is the vicar of All Saints, Marple, Stockport and also the Regional Director for New Wine in the North West of England. He spoke on Ephesians 5: 1 – 20 : Imitating our Father. You can listen to the sermon here. Your going to hear a lot about that over the next few weeks. We’re focussing on it at our gatherings, and at learning community over the weekend. We are going to be looking at how we can make the most of the 5 capitals available to us: financial, intellectual, physical, relational and spiritual capital into God’s growing kingdom. What has God invested? 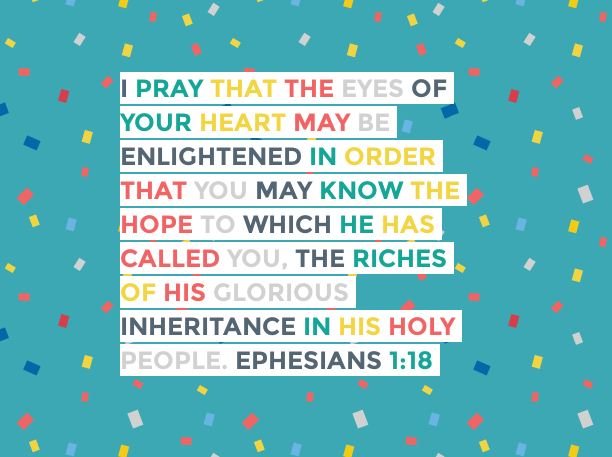 We’ve been reading Ephesians in daily prayers this week. I’ve been struck by how many times one word is repeated: riches. Throughout Ephesians 1 – 3 we’re told about riches (1:18), incomparable riches (2:7), unsearchable riches (3:8) and glorious riches (3:14)! Paul really wants his readers to know that there are riches for them. One of our problems with investment is that so many of us come from a position of scarcity. We’re used to the idea that we have limited resources, we grudgingly invest in order to keep hold of the little bit that we have. If we’re not careful we become too much like the 3rd servant in Jesus parable of the talents. But, when it comes to spiritual capital there is no scarcity! It’s really key to grasp this; we’re not desperately trying to get you to give up the little but that you have, we’re calling you to enjoy God’s abundance and give of it liberally. On Sunday in the worship I found myself thinking about the sea of “heavens armies”. An angelic army (talked about in Revelation) that has the purpose of defeating evil, sickness and death. The leader of the army is Jesus. We’re not struggling alone, we’re not investing meagre rations. We are friends of a generous God and an almighty ruler. That is why we can invest. As we get ready for learning community I want to enrage you to consider what God has given you, what he might want to invest more in you, and what he might be calling you to invest into the lives of others.